Set sail with a crew of plundering pirates on a journey to keep the seas free from an ancient evil! Battle massive sea monsters and the tyrant king of Atlantis to restore the lost city to Calypso, Goddess of the Sea! Play now on Google Play! 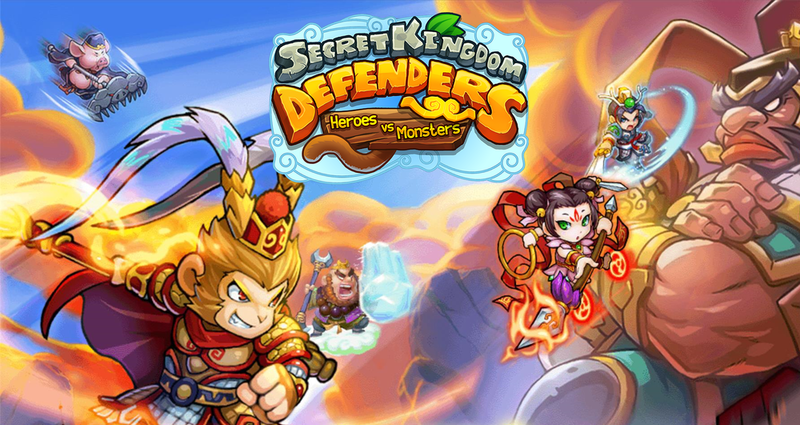 Join the legendary Monkey King on his journey to the West, defending villages from an onslaught of demons! Assemble a team of gods and heroes in the search for weapons of epic power, defeating ancient evil monsters! Can you gather enough energy to build the tallest rocket ever? With adorable space pets, anything is possible! Enter the Rocket World space force with all your friends to battle aliens and build rockets! Nikola Tesla needs your help, Commander! Thieves have stolen his time travel technology and are running amok all over history! Summon heroes like Amelia Earhart, Spartacus, and Cleopatra in a mission from the ancient past to distant future!